Roni Stoneman is a noted bluegrass banjo player and former member of the television variety show Hee Haw. She is the youngest daughter of Ernest V. "Pop" Stoneman, patriarch of the Stoneman Family, one of the most famous family groups in early country music. Drawing on his Southern Appalachian heritage, Pop Stoneman realized as early as 1924 the commercial potential of traditional music, and carved a career from it. That year, he wrote country music's first million seller, "The Sinking of the Titanic." The Stoneman Family won the Academy of Country Music "Vocal Group of the Year Award" in 1967. 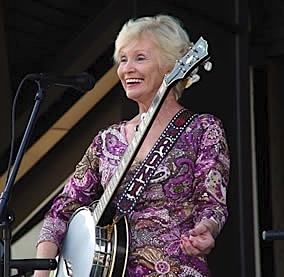 After Pop's death a year later, Roni Stoneman, known as a virtuoso banjo player in both country music and bluegrass, pursued a musical career on her own. In the 1970s, Roni reached a national audience when she joined the cast of Hee Haw, the most successful syndicated program and country music show in the history of television. She picked banjo and sang from time to time, but it was the character of Ida Lee Nagger that made her unforgettable to millions of viewers. She was so recognizable as Ida Lee, that she would also do other skits, including "Pfft! You were Gone!" as Ida Lee, who by this time, had become a man-crazy flirt, notably in the later Hee Haw Honky Tonk, where she would be chasing men with a net. Roni continues to entertain at numerous state and county fairs each year, and recent appearances include the UCLA Folk Festival, the Florida State Fair and the International Sport Show in Canada. Her CD, "First Lady of Banjo," features various members of the Stoneman family. South Mississippi native Kecia Burcham Pizzillo originally came to Nashville looking for a record deal, but songwriting quickly became her focus as a published author and poet. She has written with such cut writers as Earl Clark and Jim Casey although most of her songs have been written alone. She has performed with several bands in her hometown of Hattiesburg, Mississippi as well as venues in and around Nashville including The Earnest Tubb Midnight Jamboree and The Bluebird. 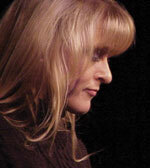 She has been featured in several music videos and does demo work for other songwriters. In addition to her music, Kecia has a master's degree in Counseling Psychology from the University of Southern Mississippi and works as a middle school guidance counselor in Franklin, Tennessee.